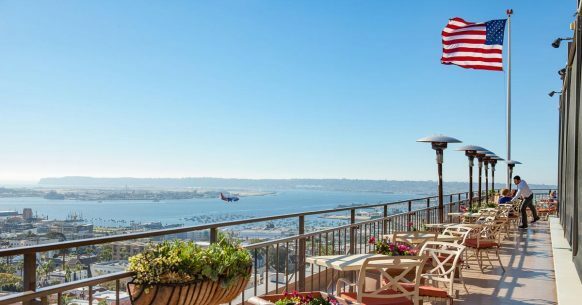 Spend the upcoming weekend in San Diego enjoying everything California’s Beach City has to offer including San Diego Restaurant Week, CRSSD Festival and these top things to do. The GI Film Festival San Diego returns for its fourth year! The festival brings the stories of America’s troops to life through films and events. An exciting line up of films and events is being put together, including an opening night reception, a family movie night, and awards ceremony, plus the Local Film Showcase, highlighting San Diego’s local military culture. Torero! Artivista! Viva La REvolution! San Diego artist Torero has dedicated his life to being an Artivista, an artist of the people, for the people. Latchkey Brewing Company is presenting a rare exhibition of Torero’s canvas portraitures and symbolic magic realist paintings. A unique window into a profoundly engaged artist’s mind. You are invited to the opening launch at which the artist will give a short talk to the attendees on each of his paintings. His original work will be for sale on site as priced well as his accompanying art prints and the exclusive exhibition poster. The Scream Zone is San Diego County’s largest haunted experience, considered among the goriest and scariest haunted attractions in Southern California. The Scream Zone includes three terrifying haunts including the labyrinth of terrifying rooms known as the House of Horror, the dizzying and disorienting KarnEvil maze, and the Haunted Hayride through the dark and dreary backside of the Del Mar Scaregrounds. The Miramar Air Show is an annual air show held at Marine Corps Air Station Miramar in San Diego, California. This three-day event is the largest military air show in the United States, with total annual attendance estimated at 500,000. This years air show will be September 28th-30th. The theme for 2018 is Honoring 100 years of Women in the Marine Corps. The Blue Angels, U.S. Army Golden Knights, U.S. Navy Leap Frogs, Lockheed Martin F-35B Lightning and more will fill the sky over the three days of air show. The show includes a large selection of “static” (non-flying) displays representing aircraft from the United States Marine Corps, Navy, Army and Air Force, as well as civilian and historic military aircraft. Catch the San Diego Padres take on the Arizona Diamondbacks at Petco Park! Game day promotions and events include: Friday – Party in the Park: BeerFest; Saturday – 2018 Team Photo & 2019 Schedule all-fan giveaway; Sunday – KidsFest, Friar Family Day, Shirts off their Backs. Be a part of history and welcome 16th century explorer Juan Rodriguez Cabrillo as he steps ashore on Ballast Point during San Diego’s Cabrillo Festival. Professional rodeo cowboys from around the country compete during the annual Poway Rodeo. Can they hold on for 8 seconds? You are invited to be a part of an unforgettable evening of epicurean splendor showcasing the talents of over 25 of the best chefs from San Diego and Baja at the annual Chef Throwdown at the iconic Hotel Del Coronado, benefitting the Cystic Fibrosis Foundation. The progressive evening will bring together local fashionable foodies awarding a ‘People’s Choice’ and a Culinary Council of celebrity top chefs and food critics, awarding the Chef Flor Franco Awards for Culinary Excellence. Brick-or-Treat Party Nights at LEGOLAND® California Resort is back with more Halloween excitement and extended Park open hours! Adams Avenue Street Fair is SoCal’s largest free two-day music festival held each year during the last weekend in September in the community of Normal Heights. Bayside Brew and Spirits Festival is the first bi-national beer festival in San Diego. We’re bringing together the best of both sides of the border to create an afternoon of fun for the South Bay.